To start off this new year I forced myself to attend to the task of starting the twilight reading session. Now my original Twilight series to put into my 30 books to movies challenge was New Moon but i had honestly thought I was going to get through Twilight faster than what I did so it took me back a lil when I didn't finish as fast as I thought. When I found myself in mixed company with my girlfriends there wasn't anything bad they could say about the Twilight series and although I have only started book 1, I will continue the rest of the series not only for closure but also cause they are fast reads. As far as the book goes: I enjoyed it more than the movie in parts! I like the references and lil sarcastic remarks that are kind of cute in the book. I definitely liked the sequence of the book ALOT better than the movie which made the story a lil more believable. for instance in the Twilight Movie: girl meets boy automatically has a connection and goes through unraveling the truth. Book: although the insist appeal is made it's not like it's love at first sight which i can relate better to personally. Bookwise: I like that Jacob Black is a fresh new character to Bella and not the close family friend that Bella should remember and feel obligated to, as in the movie Jacob Black comes to tell Bella that they use to make mud pies. With the books reference it makes it clearer why Bella would feel closer to Edward then Jacob because Jacob is a new aqquaintance. I would have loved to go more into the history of finding out more though of other characters. 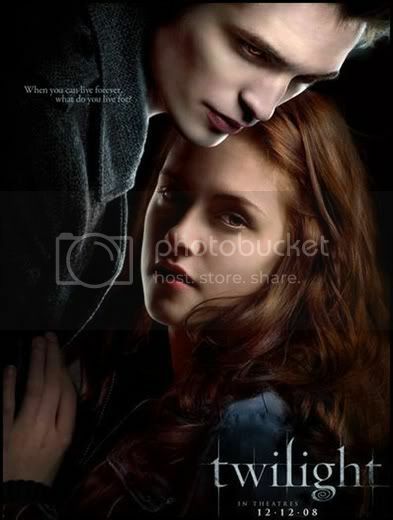 To me the book focused on Edward and Bella and maybe that was suppose to be the purpose but I would have loved more background on the Cullens. They tended to touch somewhat on Charisle and Alice (who is my personal favorite character) but I still felt something missing. I had read some mixed reviews on Twilight before reading it on good reads.. and it takes me back to one review that stood out in my mind regarding Bella. The person who made the review tended to write about Bella being a disappointing character in the way that she seems like a 35 year old in a 17 year olds body and how they can't understand a character like that or see how someone can be like that. Now I have said it before when I was that age I never felt that age, maybe it was because I was raised independently but I have always felt older than my age mentally. So i can relate with that characteristic, although Bella to me in the book was a lil too over the top at times, she was willing to do anything for Edward but when it would come down to things she was always being stubborn, pessimistic and seemed like she never wanted to do anything fun. Although Edward with his brooding fashion and internally tormented nature, always doubting himself, blaming himself for Bellas attraction etc gets to be a lil too much as well at times in the book. As well as the glittering in the sun effect, I think I like to keep the old fashion ideas to how the sun effects vampires rather then the glittering effect. The glittering effect seems to be written only to appeal to the positive nature of a person rather then the more believable nature that vampires are have been known to be damned and forced into the darkness why wouldn't there be more negative aspects to coming out into the sun? Overall if you asked me I would have given the book between 3-1/2 to 4 stars cause it was easy to read, it was interesting enough, just the hype that i was looking forward to was kinda missing, maybe cause I was listening to my girlfriends tell me how quickly I would be addicted to this book, and fast the series goes. Although if you had to ask me what team I would be on I would tell you Edward in a heartbeat! Even with his brooding, tormented lover, ways he is sarcastically dry humored, he is mysterious, old fashion, fiercely loyal, possessive where it counts, and absolutely gorgeous and I think the movie did good casting when they picked Rob Pattinson to play Edward with that charming crooked smile he has. A lil on the movie: I think they did fairly good on the casting for the movie, I love the location of the shooting and the feel to the woods etc. The soundtrack is amazing to me! Again I didn't care for the sequence of events happening as quickly in the movie rather than like they do in the book but I can understand why they did it this way for the movie to appeal to audiences better, and keep the romantic at heart girls believing that love at first sight can happen. Which brings me to the reasoning of them making this book to a movie, the story is just appealing especially to a world or i should say a teenage realm and for those hopeless paranormal romantics out there who "LOVE" watching and reading about romantic vampires. In closing I liked the book better than the movie in parts but both the movie and book are equally appealing in many ways! Although I am curious too as to the fact that if Stephenie Meyer would have stuck to the idea of her "original" dream, in which she says originated/fueled the idea of Twilight what kinda story that would have been. Don't get me wrong i "LOVE" reading about vampires always have even before it became the "craze" but take the vampires in Twilight and replace them with angels it kinda leaves me with the thought of where would that story have taken us? Until my next review ...Happy Reading All! 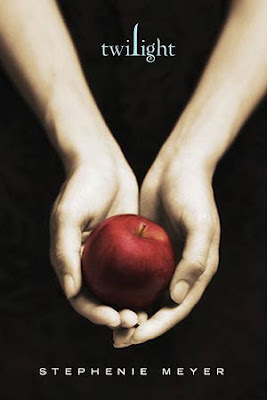 I was quite surprised as I loved The Twilight Saga: New Moon. It almost makes me want to read the books again! Hi Jenna, I can't comment on your other blog (for obvious reasons) and just wanted to say that you should let this guy change you or affect you in any way. The guy is a troll Jenna and the first rule is "Don't feed the troll". There are scary little people (in mind and spirit) on the internet who thrive on being nasty to see if they can garner a reaction. Sometimes they are actually quite genuine, as was a holocaust denier who commented on one of my blogs but generally, they are just trying to rile you up. One thing is for certain, Damo gains self-respect and self-worth by hurting and stepping on others. His bubble burst long before he even started blowing it up.